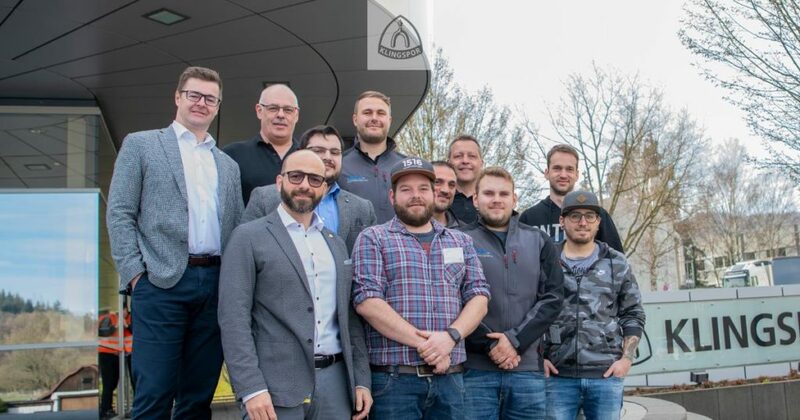 Last week a team of grinding experts from SHL joined a workshop at Klingspor GmbH training facility. Because of this cooperation it is a win win situation for future customers due to this specific knowledge multiplication. If you wish to stay up to date with the latest news regarding us and the Technology Days, we are updating our websiste www.theperfectsurface.info regularly. Based on the required grinding and finishing processes and a specified spectrum of workpieces (up to 600Å~500Å~300mm (LÅ~BÅ~H) in size and up to 50 kg in weight), SHL came up with a concept for an integrated robotic grinding and scotching system. It consists essentially of a 6-axis Kuka KR 140 industrial robot, including a KR C2 controller, three SHL 250/450 belt and contact wheelgrinders, one SHL P 550 ROB polishing machine, and various vacuum and pneumatic grippers for accepting different workpieces. The employees still have a loading and unloading table for supporting the workpiece pallets, two workpiece pallets with interchangeable specific workpiece fixtures, and a tool changing device. 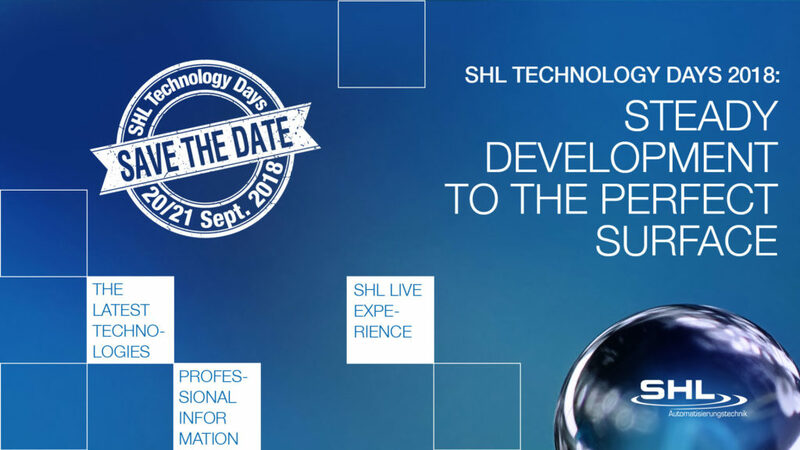 The working software, installation, and commission of the system were also part of the scope of delivery from SHL, along with several training programs for the responsible employees. 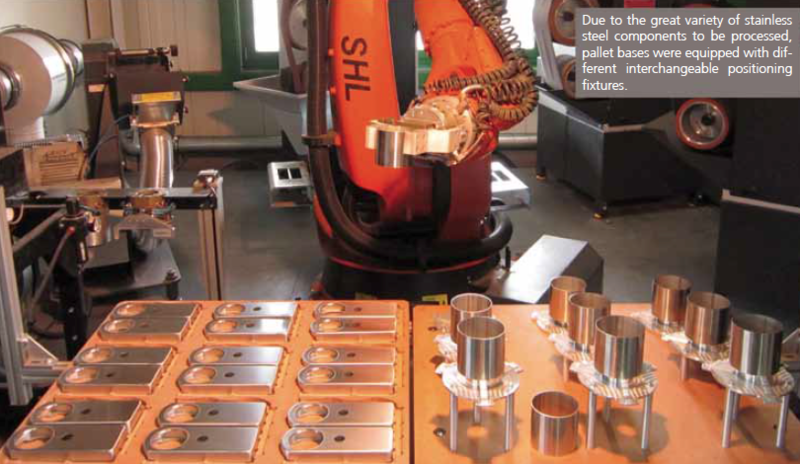 The extensive use of standardized system components – including the robot and polishing machine in addition to the belt and contact wheel grinding machines – enable the cost to be clearly calculated in advance and the defined implementation time period to be met. This also allowed functional risks in the concrete production process to be reduced considerably. Because the components named here are universally usable, Edelstahl-Mechanik benefits from great flexibility in applications and utility. 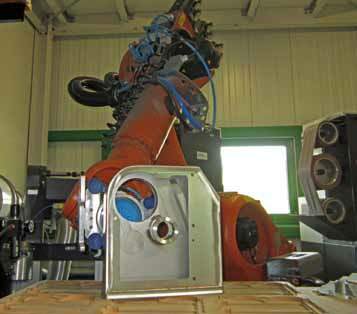 In addition to handling workpieces in the course of unloading or loading the pallets, the robot also performs three-dimensional guiding and positioning of the parts in the grinding and polishing stations. 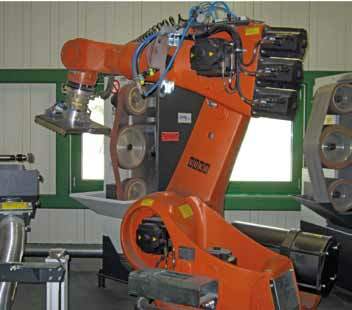 The three belt and contact wheel grinders each also have a programmable movable contact roller. This provides great flexibility in the field of machine grinding, as the robot can grind with both the belt and the contact wheel. The polishing machine is ultimately well equipped for all surface finish requirements of profiled or flat workpieces due to its continuously variable polishing speeds. In many fields where stainless steel components are used, the processing steps of grinding and surface finishing are essential. As part of a process reorganization, one company that processes stainless steel discovered the advantages of an automated grinding and scotching process as compared with manual processing. As national and international markets become more challenging, modern production facilities can help companies find a competitive advantage that is sometimes crucial. Against this backdrop, the company Edelstahl-Mechanik GmbH, located in Göppingen, Germany, which specializes in industrial processing of stainless steel sheet metal, decided to install a new robotic grinding and scotching system. In addition to reproducible processes and greater economic efficiency and surface quality, the company was also interested in protecting its employees from this complex, difficult, and time-consuming manual activity. 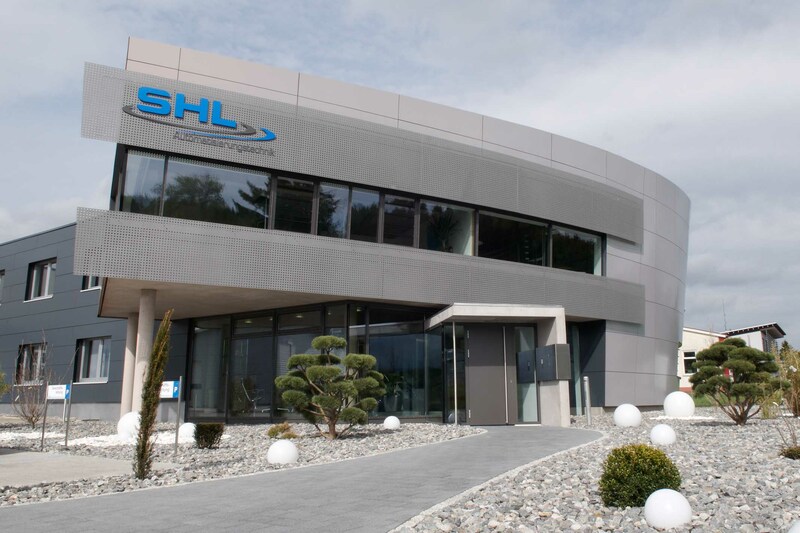 With the objective of conceiving and building a robotic cell for flexible use for grinding weld seams and producing a surface finish on stainless steel components and housings, the company’s managers turned to SHL Automatisierungstechnik AG. This order came with tough requirements for the Böttinger company, because the workpieces and housings to be produced are used in the fields of food production, medical technology, pharmaceutical and packaging industry, and are also used in designing high-end designer facades. For this reason, the components must also meet particularly high demands with respect to the quality of machining and the surface finish. 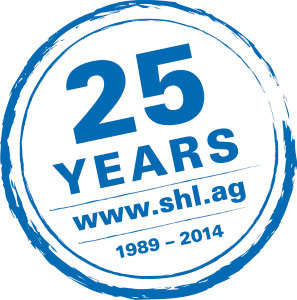 2014 is the year to celebrate our 25th anniversary – unflagging passion and Swabian entrepreneurial spirit are the guarantee for success and for everything that can be created in a quarter of a century. We were able to achieve this together with our team of highly qualified employees and by accepting entrepreneurial risks. SHL AG represents all these things and has a corporate culture that is mandatory for a company’s success and persistence. As part of our 25-year-long success story, we decided to place our social-media activities on a new platform in the future.